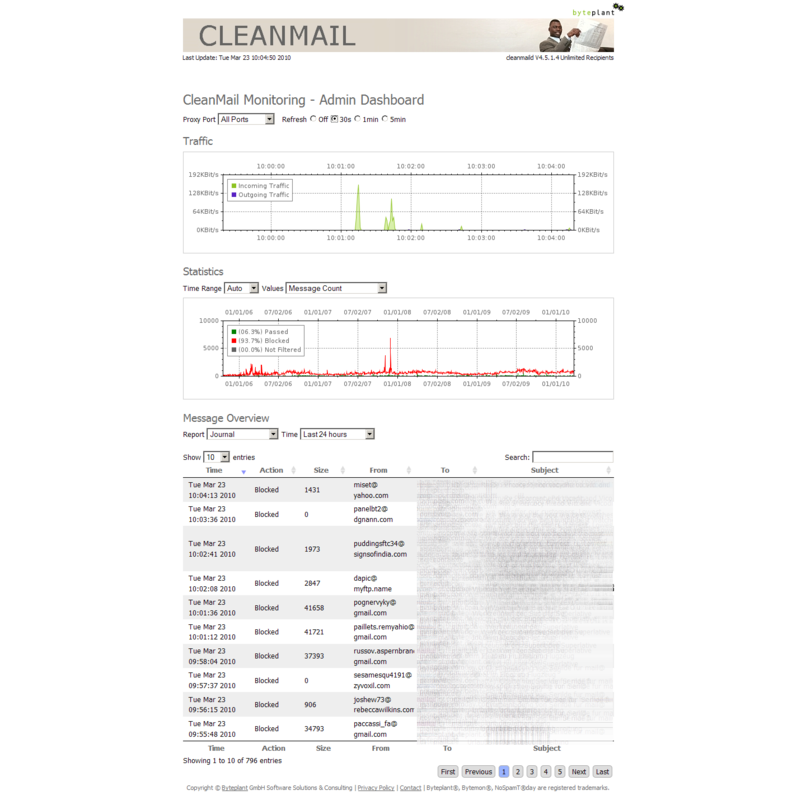 With the CleanMail Web Dashboard, you can monitor local or remote CleanMail installations. 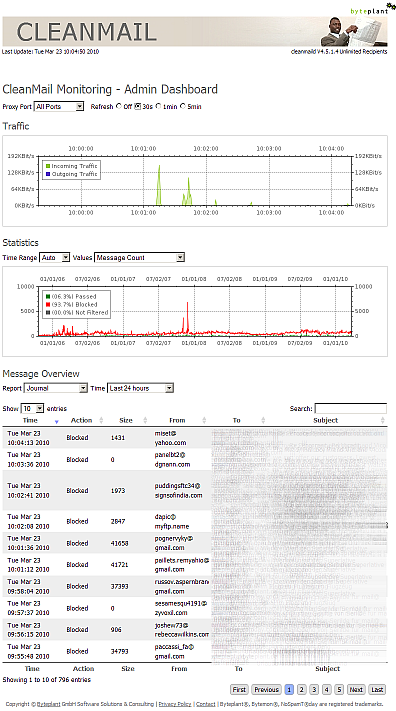 The CleanMail Service has an integrated web server, listening by default on port 8086. With your web browser, you can access the Web Dashboard: http://localhost:8086/index.html (the link only works if you have CleanMail already installed and running). This also works for remote hosts, if you replace "localhost" with the IP address or network name of your server. Your feedback is welcome! Feel free to ask a question or to send us a message. "CleanMail is truly a wonderful product. Easy to use and has saved us time and money well beyond the cost of this product. This was one of the best purchases we made in the last year!"